This segment in the car industry is the new battleground. Almost every manufacturer is jumping in. We already have the Honda HR-V, Mazda CX3 and Renault Captur. 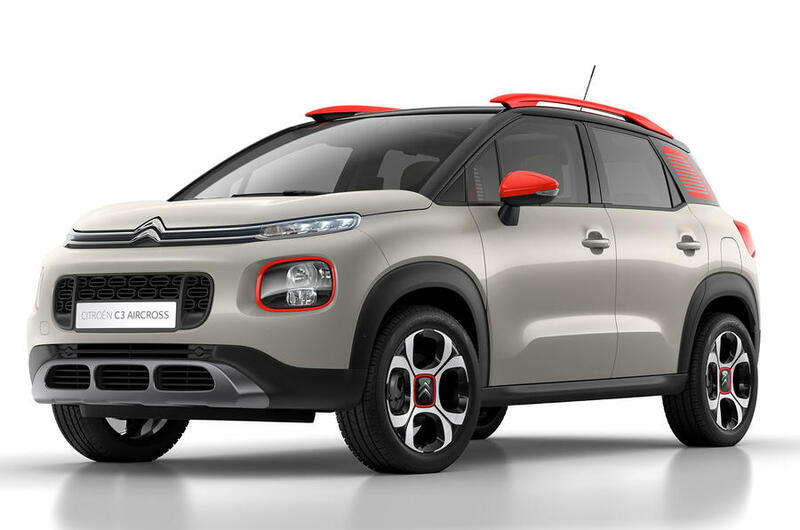 Soon to arrive are the Toyota CH-R, Citroen C3 Aircross and Hyundai Kona. Hopefully their arrival will brighten up an otherwise pessimistic domestic car market. If I were to buy one I will either go for the Toyota or Hyundai. What about you? These are just the "affordable" models. I have not included the upmarket models from Audi, BMW, Mercedes and Volvo. They are in this segment too. Then there is the in-between model like the Subaru XV with its iconic AWD. The replacement is coming sometime later this year. I think for this segment, the Japanese, Korean and the non-upmarket European brands are the better choices. The pricing is too high for this upmarket ones in this segment but nothing special from their offerings vs others. For example the BMW X1, just too pricey for their offerings, nothing to shout both interior and performance.. Indeed, the premium to pay on such upmarket models are just too much. But to many car buyers pragmatism is way down the list of priorities. The allure of the badge is irresistible. .....But to many car buyers pragmatism is way down the list of priorities. The allure of the badge is irresistible. The way I see it, this is how the upmarket brands muscle into the lower end market. Btw, the Mini Cooper (not the Cooper S) has the same 3 cylinder engine as the current BMW 318i. It is strange to see how some Beemers have morphed from being a 6 to 4 and now to 3 cylinders. Emission control is one thing but cost cutting must be the #1 reason, which is not a bad thing. The other example is the Mercedes A Class. Though it has many variants there is always the relatively bare bones version which is pretty affordable. This or a fully loaded non-upmarket brand for the same money? There is still a thing called choice. The Subaru XV is actually C segment. Still, it is an additional choice. This replacement model should arrive in the fourth quarter. So you think how much will it cost in Malaysia.? i have a Forester Premium costing RM131K manufacture 2016. if XV sells RM135K i think cannot sell. This is because they are discounting to clear 2016 stock. The actual retail price is 161k. I may buy this due to the attractive discount. A few weeks ago, the manufacturer has announced officially that they will stop producing cars fitted only with internal combustion engine after 2019. All future cars will be either electric cars or hybrid cars. If you are the driver who fancy high horse power from a small 2.0 litre engine, this model probably is the last one rom them. With OTR price of RM181k, no other cars can match this car in Malaysia.. I always not interested in buying continental marque owing to the numerous mechanical problems and high cost maintaining it. Recently a lot of them with small engine capacity added a so call turbo charged or compressor makes it like a high performance car. To me a good car means no problems at all even after clocking 200+ km . I always not interested in buying continental marque owing to the numerous mechanical problems and high cost maintaining it. Recently a lot of them with small engine capacity added a so call turbo charged or compressor makes it like a high performance car. To me a good car means no problems at all even after clocking 200+ km .[/. Not really, I have a Swedish car (well, it is a Chinese car now !!) which does not give me any major problem. I define major problem as problem which is outside the scope of standard wear and tear, and outside the scope of scheduled maintenance. I think the driver needs to have some basic know-how about car. Major problems won't develop overnight. Pay attention to unusual noise/vibration/etc and get the problem fixed immediately while the car is still covered under the 5 years warranty. I can confidently tell you from my experience that if the car has no sign of major problem within the 1st 5 years, it is unlikely you will encounter major problems later. In my opinion, there is a lot of difference when you are driving a good conti car on the highway vs a Japanese/Korean car especially in hostile driving conditions like heavy rain. It is a much safer and pleasant car to drive. I also have a European car and notice the difference.